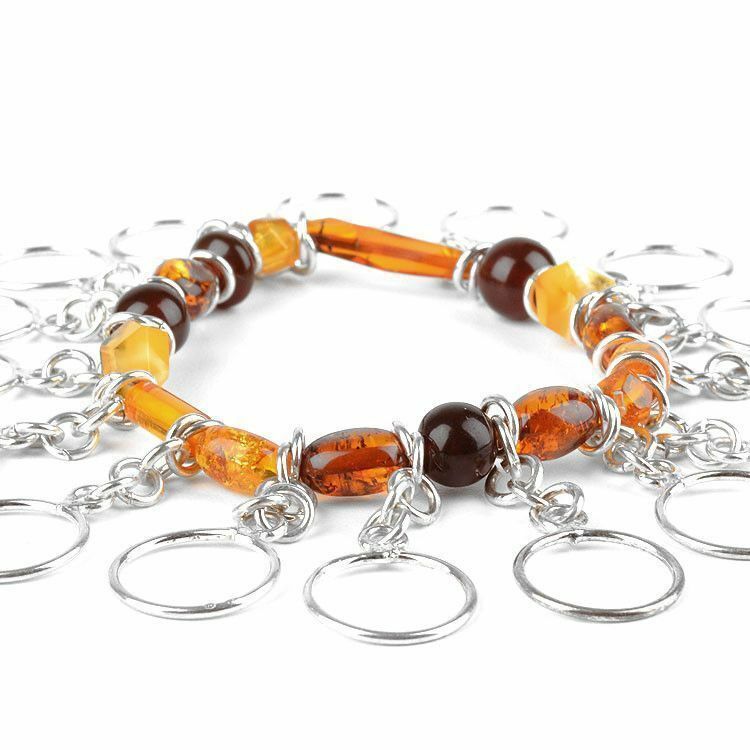 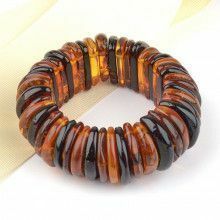 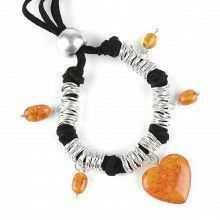 This genuine amber and sterling silver bracelet is both fun and stylish. 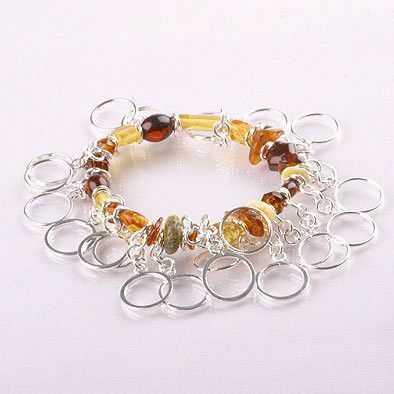 The Baltic Sea stones are colorful and unique; each amber bead has its own beauty. 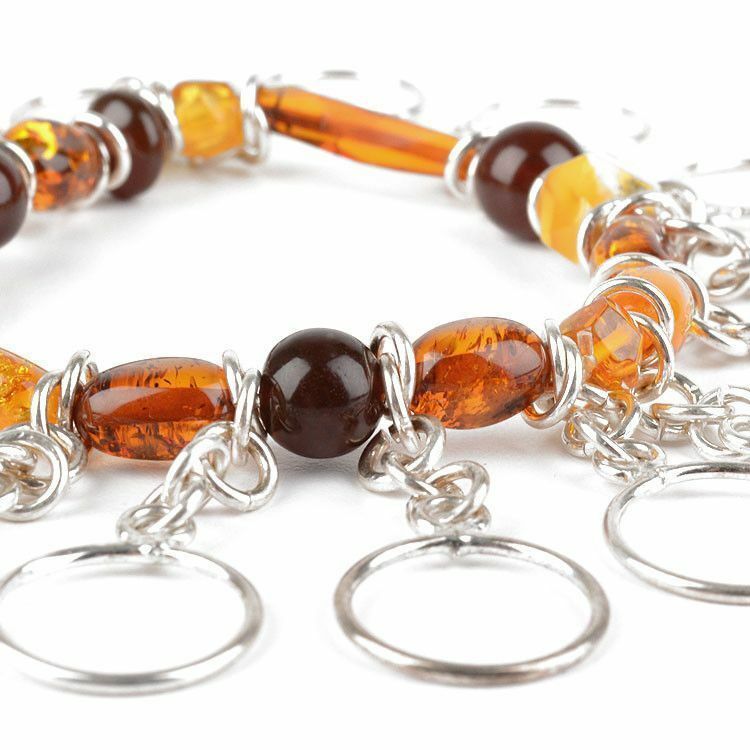 Different cuts (rounded, faceted, oval) of butterscotch, honey, cognac, and citrine amber can be seen on this wonderfully made stretchy bracelet. 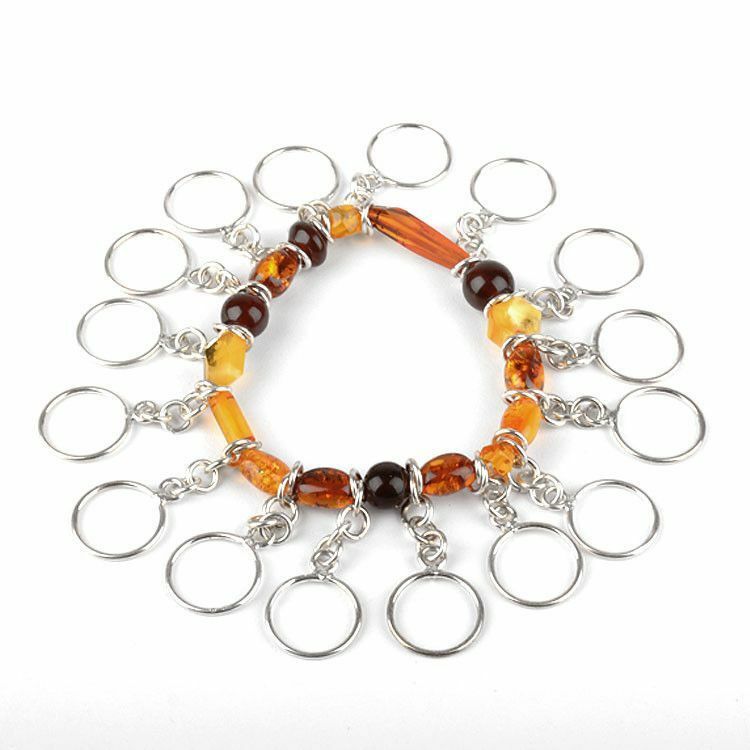 The design of the bracelet allows the silver ring charms flow and dangle effortlessly and beautifully. 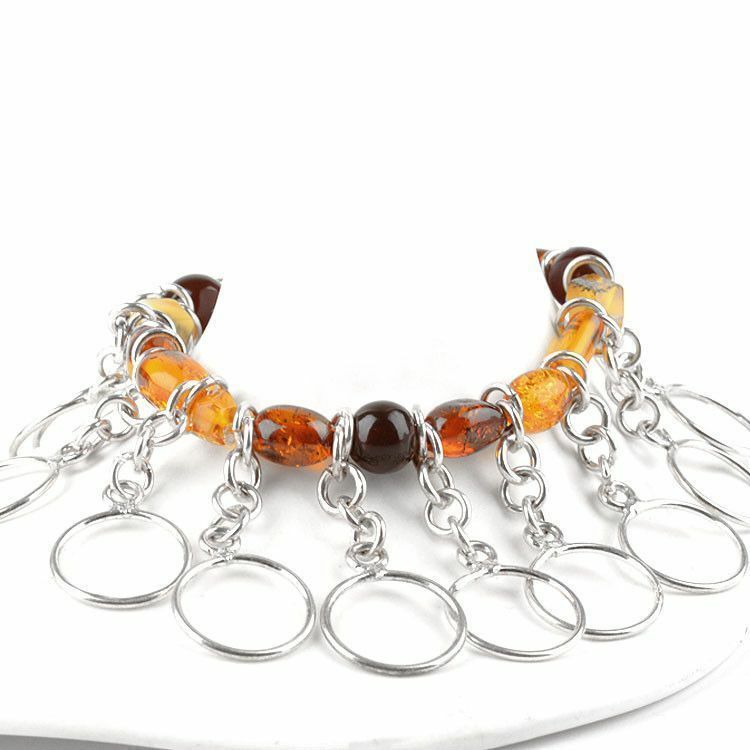 This is a truly unique piece of jewelry that looks great as-is, or with more charms added. 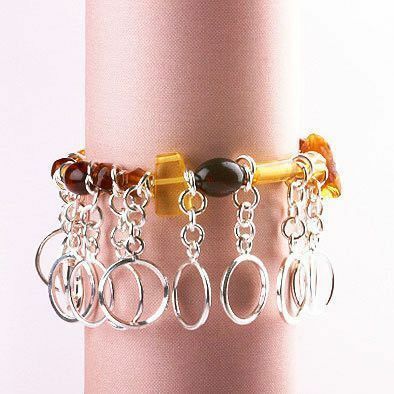 Great for wrists Approximately 5 1/2" to 6 1/2" in size. 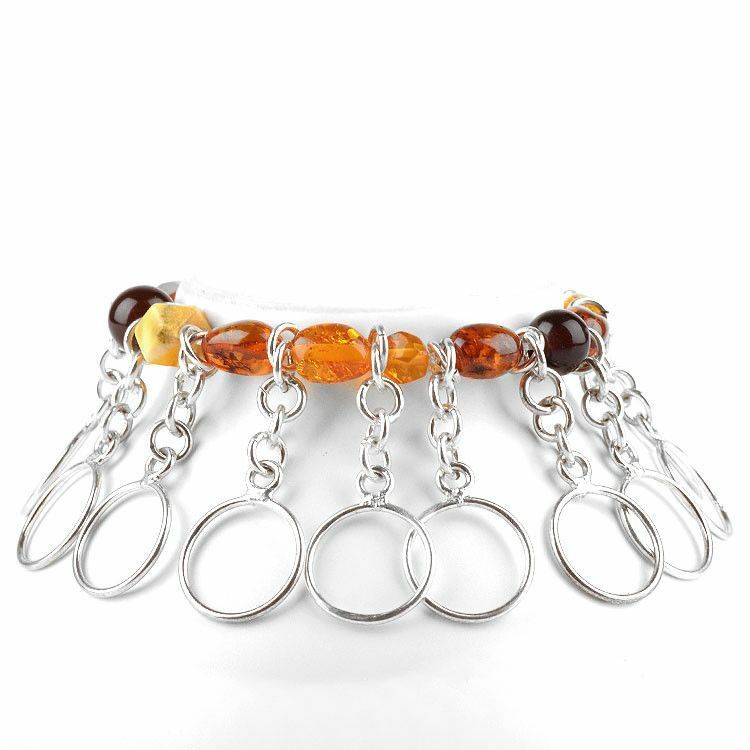 About 6" - 6 1/2"